The V&A Waterfront is the perfect place to find a boat trip. Amazing Cape Town cruises can be found along the Quay Five at the waterfront harbour, and are the perfect addition to any day. Most fair-weathered days you will find a row of stalls offering all different types of cruises from Cape Town. 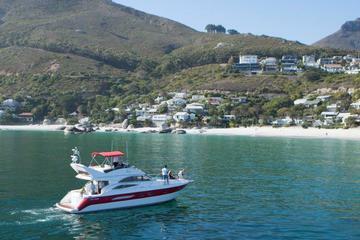 We’ve found all the best boat rides from the Waterfront, Cape Town and their prices for you. So compare, read more and pick the perfect cruises from Cape Town. Book your boat trip online to claim your spot on a cruise of a lifetime. Waterfront boat rides allow you to fully take in the splendour of the magical Mother City. 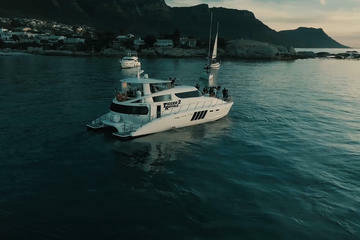 From the decks of the boats, you are able to view Table Mountain, the bustling coastline, and the marine wildlife such as seals, dolphins, penguins and the many species of fish. You can enjoy a fun-filled party at sea, venture out to Robben Island, or take a romantic sunset cruise with your partner and watch the seals dance through the waters. Whatever you are looking for, you will find it in one of our cruises from Cape Town. A Robben Island boat cruise in Cape Town is not to be missed when visiting the Mother City. The only way to reach Robben Island is by boat or helicopter, so this is quite a popular boating trip at the V&A. Sailing along the Atlantic Ocean with the wind in your hair and the sun warming your skin. The seagulls overhead and the seals and dolphins dancing below you. This is what taking a catamaran trip from Cape Town has to offer. 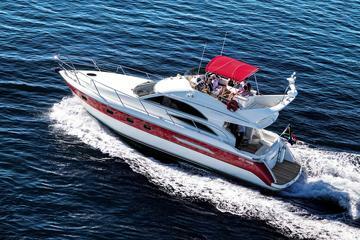 An attractive, luxurious Sailing Catamaran that sails the seas smoothly. This single-decked day charter catamaran sailing vessel is ideal for Clifton Cruises and Day Charters. The cruise trips run daily, between 8.30 am and 8.30 pm. There are ordinary sailing in the bay cruises, and there are champagne and sunset cruises available. Cruises can last anywhere from 60 minutes to 3 hours depending on the chosen cruise. Prices can range anywhere from R400 ($28, £20, €24) to R28 000 ($1900, £1748, €1556), depending on the package you choose or whether or not you’re hiring the entire catamaran. The champagne and sunset cruises offers complimentary champagne. A stylish, modern, state-of-the-art catamaran, named after the owner’s daughter. The Ameera is a smaller boat, but not any less luxurious. Time slots are available in 3 categories, Morning, Afternoon and Sunset. This cruise lasts 90 minutes. Prices for the Ameera can range anywhere from around R400 ($28, £20, €24) to R12 000 ($851, £667, €748) depending on the type of cruise you are looking for. There is a glass of complimentary sparkling wine for those who choose to take the sunset cruise. The Ameera has a maximum allowance of 38 passengers. The Tigresses is a majestic 62 ft sailing catamaran. 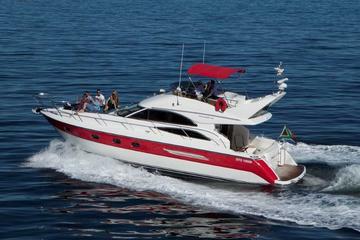 Built in Cape Town in 1997, this vessel offers the perfect atmosphere for romantic cruises. You can catch a morning ride, an afternoon trip or a romantic sunset cruise. Each cruise is around 90 minutes. Private cruises can last longer. Prices for the Tigresse can range anywhere from around R400 ($28, £20, €24) to R12 000 ($851, £667, €748), depending on the type of cruise you are looking for. With the price of the sunset cruise, you will be given complimentary sparkling wine. The Tigresse can hold 60 passengers at a time. With a slow, steady and informative harbour cruise tour, you are able to take in the breathtaking views of the V&A working harbour as well as gain more knowledge on the workings and history of the waterfront. Your tour guide will point out places of interest as they navigate the boats through the harbour. You’ll also get to make friends with the inquisitive seals that pass the boats. Passengers are taken out to observe the seals frolicking just outside the harbour, providing picturesque views of the City Bowl, Table Bay, and Robben Island. Boats leave the harbour hourly, starting at 8:30 am and ending at 8:30 pm. The cruise lasts 30 to 60 minutes, giving you plenty time to get the best view of the harbour. The Southern Cross can hold up to 85 passengers. Booking can be done at the booking office, or on the waterfront charters website. Take a relaxing cruise on Cape Town’s little red boat and view the wonders of the waterfront harbour. From the resident seals playing in the water, to the international ships that tower over the smaller boats. The cruise runs every day, starting at 10 am and ending at 5 pm. There is a new pick up every 20 minutes. The cruise takes just 25 minutes, giving you time to continue your own walking tour through the waterfront. Children under 5 are free. Children 5 – 17 years old will pay around R80 ($6, £4, €5) and the fee is for adults is about R120 ($9, £7, €8). An on-board commentary is available in 15 languages, as well as a kid’s audio channel. A maximum of 35 passengers can be taken at a time. You can book trips on their website or at the booking office. Tommy the Tugboat is a lively, informative cruise for kids around the Cape Town harbour, ideal for groups of children and their fun-loving guardians. Tommy is docked at North Wharf at the V&A Waterfront, which allows groups who are visiting the aquarium to easily add this trip to their itinerary. The boat runs every day from 11 am to 5 pm. The usual trip is 30 minutes, however, 1-hour trips can be arranged with the booking office. Adults pay around R120 ($9, £7, €8) and children R80 ($6, £4, €5), special prices can be arranged for school groups with a minimum of 30 children. A maximum of 34 passengers can fit on board the tugboat. You can book trips through Webtickets or at the booking office. The boats all leave from the Waterfront in Cape Town. As well as the boat rides mentioned above, there are also speedboat rides available from the V&A Waterfront and kayaking adventures, too. You will also find private luxury cruises that we have not mentioned too. The Waterfront is not only a great place to go and have a look at the large international cruise ships, but also to enjoy a bit of cruising of your own. 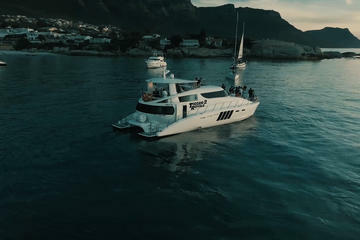 So next time you are planning a party, or a school outing, or a date out with your significant other, why not try out one of these cruises from Cape Town. Not only will you have tons of fun, and get to learn more about marine life, but you’ll leave with some unforgettable memories. Great trip and pre-departure support from local contacts This trip undersells itself! The guys onboard are so friendly and we spotted penguins and sharks before stopping to take in the beautiful sunset. This was a wonderfully chilled out end to the day! Bubbles and happy memories await you! Township and Robben Island I was looking to go to Robben Island as a last minute tour and could only find Sam’s Tour Company with a next day ticket and I am glad I did. The whole day was eye opening, helping to remind me of the struggles and see how the country has changed in many ways but has not changed much in others. It was also interesting to learn about the idland’s long history going back to the 1600’s. The Robben Island trip was postponed as the ferry was cancelled but I was rescheduled the next morning. Sam was helpful, gracious and informative. We originally booked this tour because it was one of the few that included Robben Island, however we were not expecting the eye-opening experience that we would go through. The personalized township tour was something we will never forget and made us realize a different side of Cape Town. We would highly recommend this tour as you see the past and present of the city’s history. Sam and Shake were also great guides who were very honest and recperive to any questions.